The MAXM1 World Championship winning design by Max Skelley is manufactured with a crosscut panel layout using HTP Dacron. It is forgiving, user-friendly, and easy to trim. The World Championship winning T-6R Mainsail uses a full radial panel layout, which allows the sail to cope with the loads running through it when in use. This gives a smoother sail that holds its shape longer than a more conventional crosscut sail. The T-6R is made from our own Radian Dacron, the world's first high performance warp-oriented Dacron. The APi-1 Jib is built using North Sails 3Di technology. This one piece, 3D molded, composite sail is the ultimate in performance and shape holding. This Aramid sail is built to the same design shape as the APi-1 and comes with vertical battens and camber stripes as standard. The APi-1 Jib is built using North Sails 3Di technology. This one piece, 3D molded, composite sail is the ultimate in performance and shape holding. This Polyester sail comes with vertical battens and camber stripes as standard. The BTY-15 all-purpose full radial jib won its first regattas straight out of the blocks. 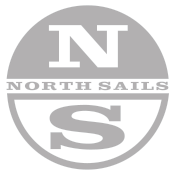 This sail is manufactured from North Sails Aramid and is quick and easy to trim in all conditions. This Worlds-winning design is an all-purpose sail with excellent all round performance. It is manufactured using Superkote 60 spinnaker fabric and comes standard in red, white or blue.